Crozes Hermitage is the largest French wine Appellation d’Origine Contrôlée (AOC) in the northern Rhône wine region of France, with over 3000+ acres of vineyards. It produces mainly red wines, from the Syrah Grape, which is the only red grape permitted under the appellation rules. In very rare instances, some of the red wines may be blended with up to 15% of white grapes Roussanne or Marsanne. Small quantities of white wine are also produced from Roussane and Marsanne grapes, but are uninspiring. The quality of Crozes-Hermitage wines is usually considered lower than those from Côte Rôtie and Hermitage but the wines are in fact remarkably well made, even at the lowest appellation. 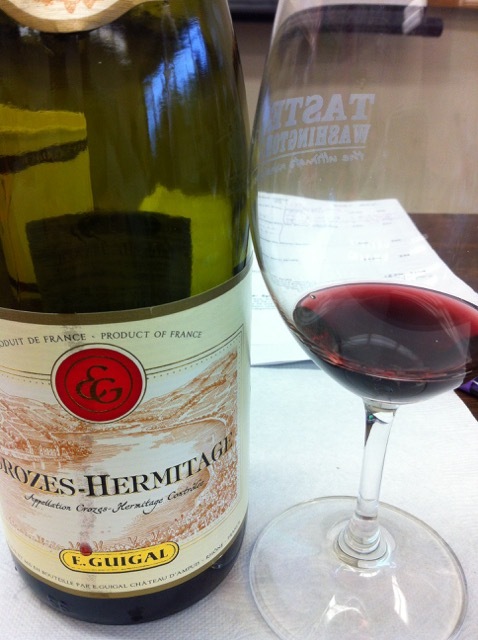 It’s well worth trying the basic Crozes-Hermitage AOC wines, as introduction of Rhône Syrah. The wines are peppery, plummy and firm textured and can be aged for a few years. A grower called Graillot, has Crozes that are opaquely black and intense as some Hermitage. The more notable vineyards in Crozes-Hermitage include Les Chassis, Les Sept Chemins and Les Meysonniers. The notable producers: Graillot, Jaboulet’s Dom. Du Thalabert, Ferraton, Chapoutier’s Les Meysoniers, Cave des Clairmonts. Walton, Stuart, 1996. The World Encyclopedia of Wine, Anness Publishing Limited. (This books requires some modest knowledge of wine in general. I only enjoyed reading it after reading, Zraly’s book with all the fundamental basics). Zraly, Kevin, 2008. Windows on the World Complete Wine Course, Sterling Publishing New York/London. (A very simple, informative and easy to read book. If you don’t know anything about wine, like me, this book is a must read).